Exfoliate, hydrate and heal with this innovative range of lip products from lip expert - Sara Happ. Ever felt like your lips were dry, so you applied a lip product boasting benefits, only to find an hour later your lips are more dry? This creates the need for more product which means you're constantly applying something else on your lips and then running out... the cycle goes on. Sara Happ aimed to eliminate this problem with ingredients that give lips long lasting moisture combined with technology that truly moisturises all day long. 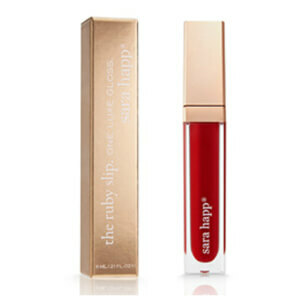 The Sara Happ range can be divided into three lip care sections. Scrub - to exfoliate dry lip skin away. Slip - which is a lip treatment that should be slathered on before bed time. Swipe on lip glosses and lip colours for an effortlessly chic finish. Change how you feel about your lips forever.